You might notice at the demo that there are posts with a "featured" label. These are sticky posts. 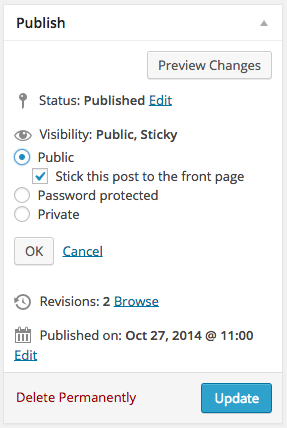 To do so, you can set the status of the post as "Sticky" from the publish panel at the top right of your post page (admin side), like the screenshot below shows. Apart from showing the "featured" tag, the post will stick to the top of your page and will always remain there, unless you uncheck the sticky checkbox. You can also change the text of the label, so instead of "Featured" it can have a custom text. 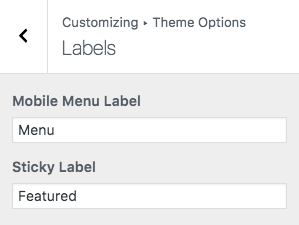 You can easily define this under Appearance > Customize > Theme Options > Labels. You can edit the Sticky Label field and change the text.